Recently I attended a class to recertify my life-saving skills, partly because of my involvement in martial arts and partly because I think it’s an important skill to have as a good citizen. I recertify every couple of years to stay abreast of new technology and information (or “411”) in the event I can help to prevent an emergency (or “911”). The first question we were asked was, “What kind of lifesaving do you want to learn, i.e., do you want to save an adult, a child or an infant?” I was given the choice because if I worked in a store, for example, I would only be required to save adults. If I worked in childcare, I would have to be certified to save children. I said I wanted to save them all! Then they asked if I wanted to learn how to use the defibrillator machine. They explained that if I had that skill, my chances of being able to save someone’s life over using mouth-to-mouth resuscitation alone increased from 4% to 44%. I was surprised to see that at least half of the class didn’t bother with the extra training, citing excuses such as, “I don’t have a defibrillator at my company, I don’t need to know.” I wondered, “Wouldn’t you want to know in case you were running through an airport and you could save someone’s life by grabbing the machine?” I was one of only four people in the class who took all of the teaching offered. This experience got me thinking about the parallel with real estate. I realized that while real estate broker/owners have expertise in the area of real estate, many would be better equipped to serve the community if they learned more about mortgages, appraisals, home inspections, insurance, demographics, etc. The more 411 they have, the better equipped they are to avoid a 911. This works in business planning too. Information on what’s selling in your market, the average sales price, etc. is readily available but many broker/owners aren’t using it. From that you can determine where the market is headed, where the buyers and sellers are and how you should be marketing to them. It’s important to pay attention to the 30,000-foot view, the 2,000-foot view, and the street-level view and, of course, to pay attention to your own business. Create a picture of what you want your brokerage to be. Do you want a boutique office or do you want to build it big? What sort of image do you want your brokerage to have in the community? This is important to know from a recruiting standpoint. Compile a list of agents who would be a good fit with your office and gather the 411 by Googling them, Friending them on Facebook, connecting with them on LinkedIn and getting to know as much as you possibly can about them. If and when they do join your organization, be sure to share your vision with them. Give them the 411 so they can really feel like they are part of something great. As a broker/owner, in order to avoid a future 911, you must consider your exit strategy. Do you want to continue what you’re doing for another five years? Have you clarified your own transition plan? Do you want to pass down your company to your children or do you want to build a saleable entity? Do you want to pass down the wisdom you’ve gained to others? It’s important to consider these questions and solidify your goals so you make the right decisions on the road to achieving them. 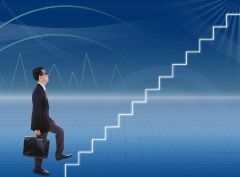 If your strategy includes transitioning out of ownership, you should be looking for the next level of leadership now. Who are you going to transition to? If you plan to transition to people you’re recruiting into your company now, you can impart your philosophy and teach them to love it and prepare them to take it to the next level. On the other hand, are you better off rolling your brokerage into another company? Do you need to sell right away so you get instant cash, or is it a better plan for you to get paid out over time? If you decide that getting paid out over time makes more sense, then you might actually be able to structure retirement income long-term. Consulting with trusted advisors such as your CPA will help you to gather the 411 you need to decide. Speaking of retirement, we know that many people in the real estate industry don’t have a retirement plan and even fewer have put any money aside. Making preparations now will help avoid a 911 in the future. A lot of people are working because they have to, not because they choose to. And a lot of them are working harder than they’ve ever worked in their life. It’s one thing to do that if you’re really passionate about it, but many broker/owners have lost their passion to the recession. It’s important to know that it’s never too late to start planning for retirement! It’s never too late to get all the 411 so that you can really get what you focus on, and the more detailed you are about it, the better. When I do this exercise, I sit down and I close my eyes, and I literally create pictures in my mind. I ask myself, Where do I want this company to be? Where do I want to be personally? Where do I see my health a year from now, three years from now, five years from now? The pictures that come vividly to my mind are the ones that are really true to me. The ones that aren’t as vivid are not really part of my dream. I create pictures for everything – health, family, friends, business, finances. I spend about a half an hour every quarter visualizing what I want for my life. Try it! At the end of the day, as is the case with those of us who learned how to use the defibrillator that day, people who are better prepared are those most capable of reacting effectively in an emergency. And in your business, it’s all up to you. 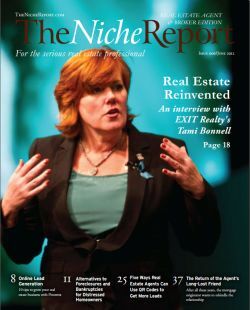 Tami Bonnell is the CEO of EXIT Realty Corp. International. 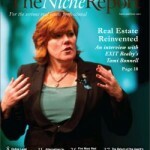 She is a thirty-year veteran of the real estate industry and was instrumental in building three major brands. Among her many achievements, she was recognized by real estate trend-watcher, Stefan Swanepoel, as one of the 100 Most Influential Women in Real Estate. Ms Bonnell is a frequent featured speaker at events such as the National Association of REALTORS® Convention to the Top 500 Power Brokers, The Women’s Council of REALTORS®, Inman News Connect Conference and she was named one of Banker & Tradesman’s 2012 Women of FIRE. She is a wife, mother of three and grandmother of three. In her spare time she is a martial artist, coach, judge and referee.